It’s natural to feel nervous when thinking about life after rehab. You’ve done the hard work and achieved sobriety. But what happens next? Returning home after treatment can be intimidating. However, there are many things you can do to stay abstinent. It’s important to remember that the recovery process continues long after you finish rehab. Having a sober social life. Returning home after an inpatient rehab program often means coming back to an environment full of triggers that may tempt you to use again. You may be surrounded by paraphernalia or friends and family members you used drugs or alcohol with. You can prevent or avoid some triggers, but others are inevitable. Prepare for triggers by learning how to deal with them when they arise. During your addiction recovery program, a therapist will often provide you with coping mechanisms that can be used when you experience stressors or triggers. Having a plan of action can help prevent relapse. Distracting yourself by going for a walk, reading, or calling a friend or family member. Sober living homes are safe, drug-free environments. If you feel that your home environment is not healthy for your recovery, consider staying in a sober living home (also called a halfway house). Sober living communities are a form of aftercare following rehab. These residential facilities are transitional homes that help ease former addicts back into their lives after completing treatment. If you attended rehab as a result of legal troubles, you might be required to stay in a halfway house. Other addicts may choose to stay there as a preventive measure. Sober living homes provide those in recovery with a safe, drug-free environment free of the stressors and temptations of their home lives. They help to ensure abstinence by administering regular drug tests. The communities often offer additional services, such as job placement, support groups, 12-step programs, and recreational activities. If you don’t have a place to stay, consider asking a sober family member or friend if you can stay with them temporarily. Friends who are using drugs or alcohol may trigger your desire to use. Even staying with sober friends whom you previously used drugs with can be risky, because if one of you relapses, the risk of the other relapsing is much greater. Learn more about ways to prevent relapse during recovery, such as building a support system, learning the warning signs, and following an aftercare plan. Many people who leave drug addiction treatment are surprised when their family members don’t give them a warm welcome home. Remember that just because you’re sober doesn’t mean that your family members have forgotten the things you did while using. Your behaviors may have hurt your family members, and they may be hesitant to trust you at first. Don’t be discouraged. It can take time to rebuild trust. They may feel uncertain for a while, and you may have to provide them with extra reassurance. In a way, everyone is in recovery and is adjusting to this new way of life. Change is gradual process, so keep that in mind as you work to rebuild positive and healthy relationships with your family members. Make a commitment to remain trustworthy (do what you say you’re going to do). Work on rebuilding your life from the ground up, one step at a time. Find new hobbies (running, joining a sports team, learning an instrument, meditating, etc.). Give loved ones space, if necessary. Go to therapy or counseling. Make amends with anyone you have wronged. Be prepared for resistance, and don’t let it discourage you. Practice patience, and use mindfulness. Remember that you can only change yourself, not others. Social functions can become a trigger for many people in recovery. Make sure to consider these activities carefully and make a plan for what you’ll do if you feel tempted to use. It’s common for drug users to socialize with other people who use drugs. But it’s in your best interest to find new friends who do not use drugs in order to maintain your sobriety. Although it can be difficult to let go of close friendships, you are making a commitment to a better and healthier life for yourself. Join a sports team in your local area (soccer, softball, bowling, etc.). Attend a local book club. Meet sober friends at your 12-step meetings and support groups. Chat with people at coffee shops. Attend a game or trivia night. 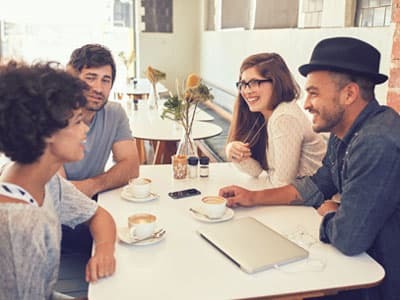 Use meetup.com or other similar websites to find localMeetup groups in your area. Network with sober friends and family. Consider hanging out with coworkers outside of work. Take a class and meet the other students. At some point, it’s likely that you’ll get invited to a social event where alcohol is served. Think carefully about whether going is the right choice for you. You may want to be honest with your friends and explain why you feel that going would be a threat to your sobriety. If you don’t feel comfortable being honest about the situation, find another excuse such as having a prior commitment. Take a sober friend or family member with you who can help support your sobriety. Leave early (often alcohol and other triggers are not part of events until later in the evening). Go to a support group or 12-step meeting before and/or after the event to help motivate you to stay sober. Have a sponsor you can call if you feel tempted to use. Have a plan of action for cravings (self-talk, mindfulness practice, redirection, deep breathing, etc.). Who Answers? to learn more about relapse prevention and aftercare programs. Work can provide both structure and stability, which are crucial in the early stages of recovery. Having a solid routine and a sense of purpose can help you maintain sobriety both by filling your time and by providing you with a sense of duty. However, returning to work after completing treatment can be one of the most intimidating aspects of recovery for many people. Some may be embarrassed if their boss or coworkers find out that they were in treatment. Others may fear that people will ask questions and they won’t know how to respond. If you are returning to a job that you had prior to treatment, decide whether you want to be honest and open about your recovery or whether you want to keep it to yourself. Make these decisions ahead of time so that you won’t feel stressed and end up giving them an answer that you may regret later. Many people lose their jobs due to problematic drug or alcohol use, and this may have prompted them to seek treatment in the first place. Unfortunately, it can sometimes be challenging for those in recovery to find a job, especially if they have a criminal record. Attend an aftercare program or sober living community that assists with job placement. Offer to volunteer with a company until you can build rapport and hopefully get a paid position later on. Attend a work assistance center that can help you build your resume and look for a job. Ask friends, family, or fellow 12-step members for job referrals. Use job websites such as Indeed, Monster, or LinkedIn to look for open positions you may qualify for. Read the classified ads in your local newspaper. Search for a job using your college alumni network. If you are seeking new employment, you may want to consider some ways that you can explain your addiction to future employers. Ultimately, it’s up to you if you wish to share this information. It’s illegal for prospective employers to ask these types of questions during an interview, though they may ask you about gaps in employment. You can say that you had a gap in employment due to illness or personal issues. Work can be a significant stressor and can contribute to a relapse after rehab. Be prepared for stress and have positive coping mechanisms in place if and when stress arises. Taking short and frequent breaks when possible. Talking to a coworker or friend about your stress. Coloring (there are many adult coloring books available). Be on guard for “workaholism,” as those in recovery are at risk for replacing one addiction with another. Work can easily become a way for people to avoid their feelings, relationships, or other problems that may arise with newfound sobriety. Try to maintain a healthy work-life balance, especially in the first few months following your treatment. Returning to school after treatment can be both exciting and challenging for many in the early stages of recovery. Some people may be returning to high school or college, while others may be older adults who choose to return to school after deciding to make a major career change. Regardless, the transition may bring difficulties that you should be prepared for ahead of time. School can be stressful, especially during exam time. Many college students become accustomed to using stimulant medications, such as Ritalin or Adderall, to help them study for exams. But living a sober life means abstaining from all drugs. Finding a quiet location free of distractions. Social activities are also a major component of school life for those in high school and college. Because many of these types of social functions involve alcohol and/or drugs, it may be difficult for students to maintain sobriety. Center for the Study of Addiction and Recovery (Texas Tech University). StepUP program at Augsburg College. Alcohol and Other Drugs Assistance Program (Rutgers University). Students for Recovery (available at many schools around the country). is a nonprofit organization aimed at providing students in recovery with the best education and support possible. Recovery high schools are secondary high schools created exclusively for those in recovery from substance abuse and addiction. These schools not only meet the state requirements for awarding a high school diploma, but they also address student recovery needs and provide education on substance abuse and comorbid mental health issues, such as anxiety, depression, and attention-deficit hyperactivity disorder (ADHD). Self-care is one of the most important (and neglected) aspects of recovery. Taking good care of yourself can help minimize the risk of relapse and maintain sobriety in the long-term. Get enough sleep: Adequate rest is crucial to optimal health. It is recommended that people get at least 7-8 hours on average per night. It might be tempting to stay up late when life gets busy or stressful. But that can make you feel fatigued as well as make you more susceptible to health problems and relapse. Exercise: Regular exercise can keep both the body and the mind healthy. Exercise releases endorphins, which can create a feeling of well-being or euphoria and alleviate cravings. Eat a healthy diet: Proper nutrition can have many physical and mental health benefits, such as increasing energy, healing any damage done to the body during addiction, and improving immune defenses. Make time to relax and de-stress: Stress is one of the biggest contributors to relapse. Making time to relax and using healthy coping strategies to deal with stress can help you maintain long-term sobriety. Cultivate a spiritual practice: No matter your beliefs, taking part in a spiritual activity such as going to church, practicing meditation, or even taking a walk in nature can help you feel a greater sense of purpose and meaning, which may decrease the need or desire to use drugs. In addition, most 12-step programs focus on surrendering one’s addiction to a higher power (which does not have to be God). Engage in a hobby: Many people relapse solely out of boredom. Keeping yourself busy with positive, healthy habits and hobbies may decrease the risk of relapse. Connecting with others in recovery can help provide you with support and encouragement after treatment. If you are looking for an online support community, you can read our blog and communicate with others in recovery via the forum. If you or someone you love is returning home from treatment and is interested in aftercare programs or other forms of support, call one of our recovery support specialists for assistance at 1-888-319-2606 Who Answers? .
. Perron, B. E., Grahovac, I. D., Uppal, J. S., Granillo, T. M., Shuter, J., & Porer, C. A. (2011). 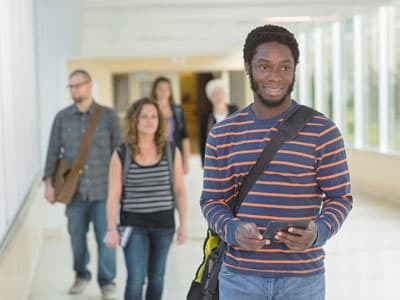 Supporting students in recovery on college campuses: Opportunities for student affairs professionals. Journal of Student Affairs Research and Practice, 48(1), 47-64. Our location in Princeton Junction, NJ is one of 4 outpatient treatment centers, 3 of which are located in New Jersey. We use a variety of treatment techniques including Cognitive Behavioral Therapy and Motivational Interviewing, but each plan is tailored to each individual’s needs.